The Pier 1 development occupies, approximately, the footprint of the National Cold Storage Warehouses, a complex of buildings that blocked views for over a century. 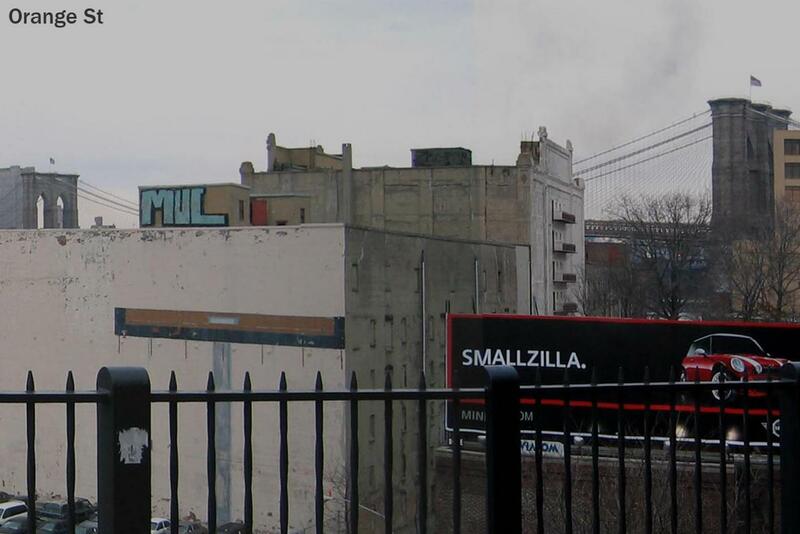 The warehouses were demolished in 2010 to make way for parkland and the Pier 1 development that had been approved as part of the 2005 Brooklyn Bridge Park General Project Plan (GPP). 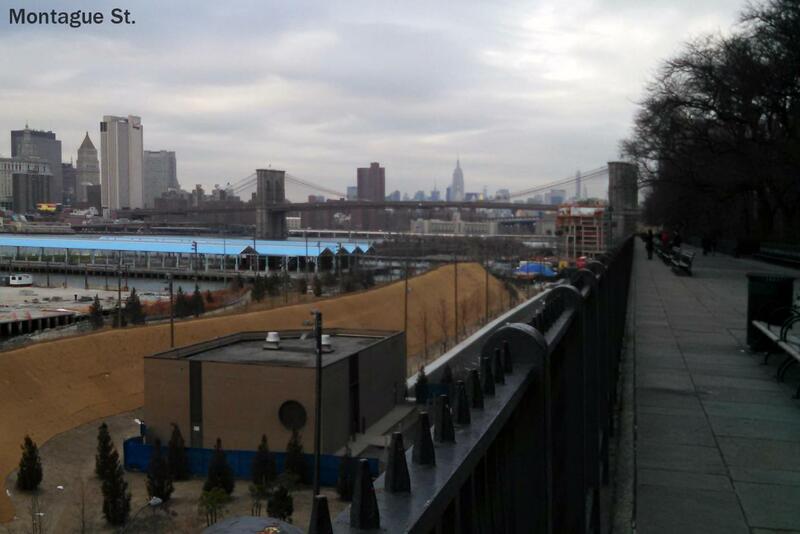 While many people do not recall the visual impact of the old warehouses, it was understood that from some vantage points, the Pier 1 development would obstruct views of the Brooklyn Bridge and Manhattan – particularly from the northern end of the Promenade and from the “Fruit Street Sitting Area,” which is not part of the Promenade. The project comprises two parcels: Parcel A, the site of the taller hotel and residential buildings to the north; and Parcel B, the site of the smaller residential building. In order to clear up some misunderstandings regarding the project, following is a list of pertinent facts. In addition, our most recent presentation to the community can be found here. Height Limit. 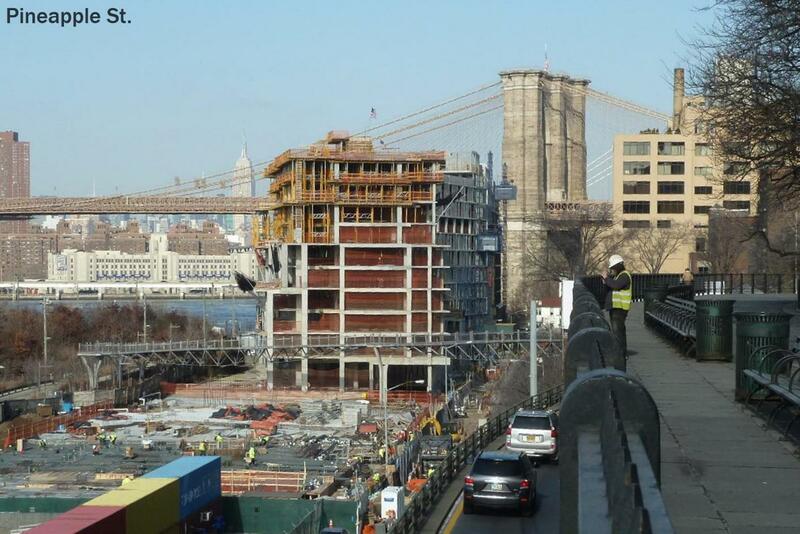 The BBP General Project Plan prescribes a height limit of 100 feet. This reflects the effort to develop a building of scale and impact similar to the National Cold Storage Warehouses. The GPP is silent on the inclusion of mechanicals within the 100 feet. Upon consultation with Empire State Development Corporation (ESDC), the decision was made to permit rooftop mechanical equipment to exceed the 100’ height limit provided that it fit the definition of a “Permitted Obstruction” in the NYC Zoning Resolution. Base Plane. Based on consultation with ESDC, the 100’ height limit for the Pierhouse is determined in accordance with the NYC Zoning Resolution, under which height is measured from the Base Plane. 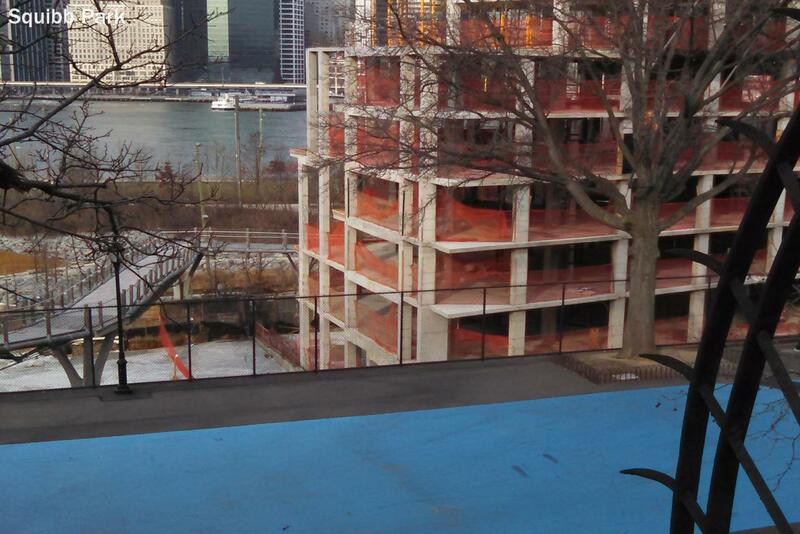 Prior to Hurricane Sandy, the Base Plane for the Parcel A building at Pierhouse was set at 10.2’. After Hurricane Sandy, in response to changes in FEMA’s 100-year flood plane elevations at the site, the Base Plane was raised by 3.55’ to 13.75’. The Brooklyn Heights Scenic View District (SV-1). Adopted in 1974, this protected view plane extends from the Promenade at specified angles in the shape of a fan. The height of buildings covered by the view plane cannot be taller than the plane. Protection of the view plane has always been a requirement of this project and the Park as a whole. The taller hotel and residential buildings of the Pier 1 development are not located within SV-1, and do not at any point violate the legally protected scenic view plane. The smaller residential building of Pierhouse is largely within SV-1, and the building on that site will fully comply with that restriction. The National Cold Storage Warehouses did violate the view plane, but were “grandfathered” because they existed before the Scenic View District was created. New buildings will comply with the view plane restrictions. Fruit Street Sitting Area. Views from the Fruit Street Sitting Area, which is not part of the Promenade, are not protected under SV-1. Views from this area had been obscured by the Cold Storage Warehouses prior to their demolition. Squibb Park. As with the Fruit Street Sitting Area, views from Squibb Park are not protected. In the four years since the warehouses were demolished, it was understood that the open views were temporary and the Pier 1 development would obstruct views once constructed. Bulkhead. The 1Hotel bulkhead contains two parts. 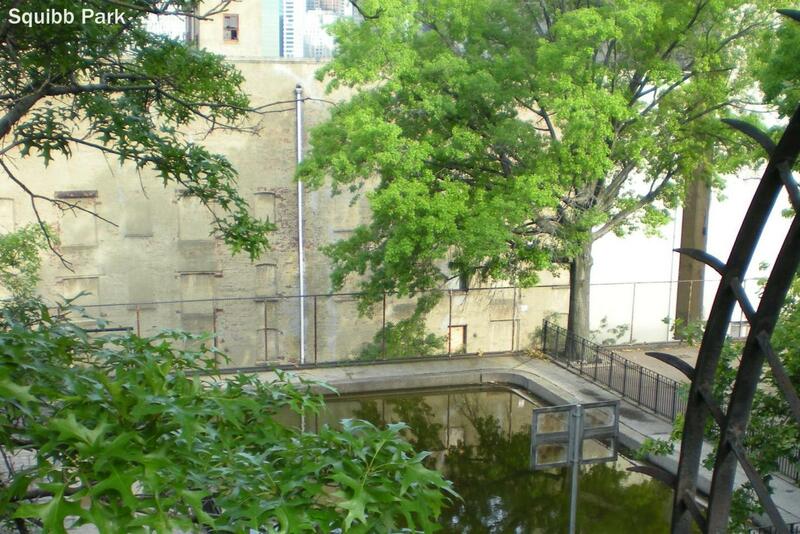 The lower bulkhead, closer to Furman Street, is approximately 23’ tall and contains an emergency generator and cooling towers. The remainder of the hotel bulkhead is approximately 30’ tall and contains three levels. The lower level contains the access for the elevators and egress stairs. The middle level contains the elevator equipment room, an IT equipment room and exhaust and supply fans serving all floors of the hotel. The upper level of the bulkhead contains the required overrun heights for elevator service and equipment and pressurized fans. A model showing the post-Sandy bulkheads presented to the community in September, 2013, can be seen here. Public review process. Through a series of public meetings dating back to 2011, the Pier 1 development underwent a robust and transparent design review process. Our Community Advisory Council (CAC) – the body through which the Park reports to the community regarding its projects – was updated on all design changes, and from the earliest meetings it was made clear that mechanical equipment would exceed the 100 foot height limit provided it fit the definition of a “permitted Obstruction” in the NYC Zoning Resolution. This was acknowledged by the CAC from the first meetings on the project. In September 2013, the post-Sandy design was presented to the community. This is the same design as is being constructed today. Hurricane Sandy. Following the 2013 release of FEMA’s post-Sandy 100-year flood plain maps, (which extended the flood zone to include the area of the Pier 1 development site) and DCP’s Flood Resilience Text Amendment which modified zoning to encourage flood-resistant construction, Pierhouse architects adapted the design by raising the base plane 3.55’ - thereby elevating the building out of the flood zone - and relocating mechanical systems above flood levels and onto the roof. Project benefits. 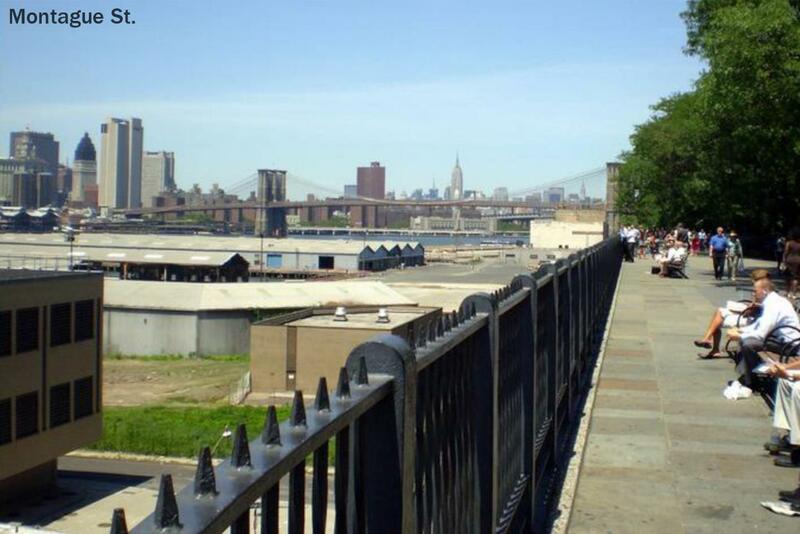 In 2002, Brooklyn Bridge Park was established with a mandate that the site itself would generate the revenue to maintain the park in perpetuity. That funding is provided by development on sites at the edges of the park project. 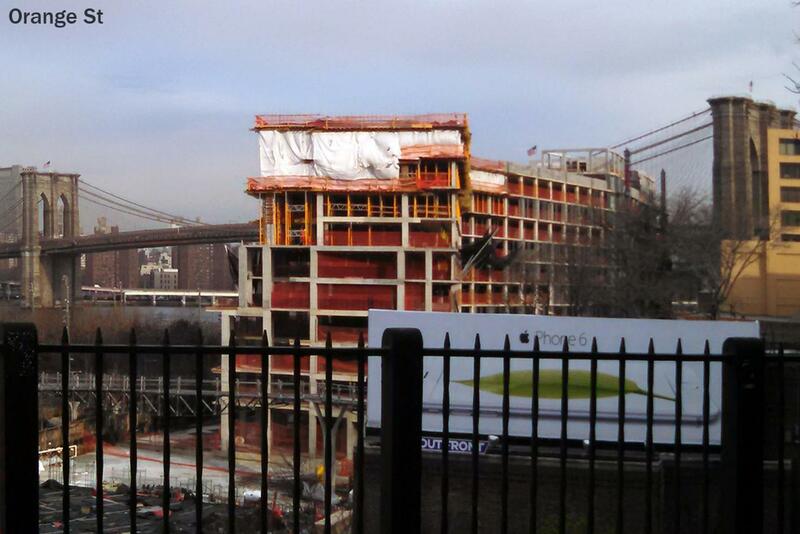 Pier 1, the hotel and condominium under construction adjacent to the Park near Pier 1, has been permitted in this location since 2005. Over the course of the lease term of 97 years, the development is projected to result in $119.7 mil in net present value of revenue. Upon completion, the project will generate a projected total of $3.3 mil annually in rent and PILOTS. View from Pineapple Street, circa 2008. View from Pineapple Street today. View from Orange Street, circa 2008. View from Orange Street today. 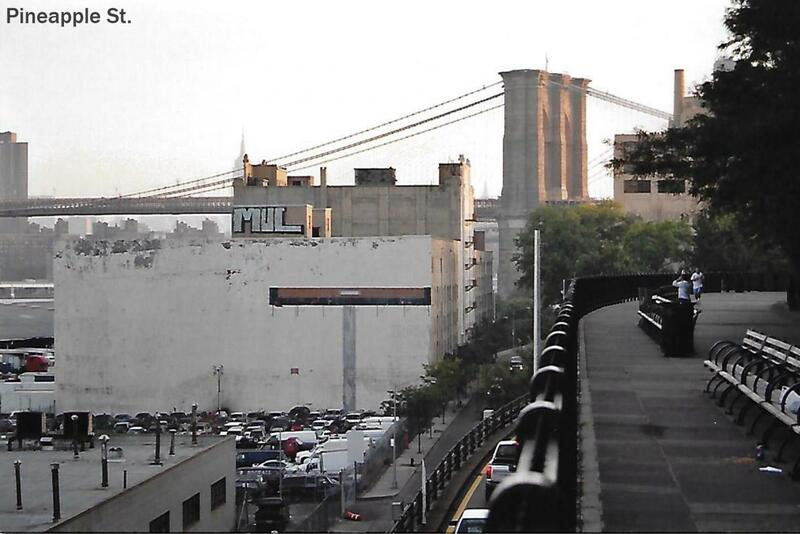 View from Squibb Park, circa 2008. View from Squibb Park today. View from Montague Street, circa 2008. View from Montague Street today.